The greatest gift I’ve ever received came from eleven trips to Costa Rica over the last three years. Costa Rica has shown me how I want to live. As a society we seem to have an incredibly difficult time understanding how we’re “supposed” to live. We look to laws, institutions, religions, books, and even celebrities to tell us how. But I believe that if you want to know how to live, rather than an outsider’s opinion, turn to the source of life. 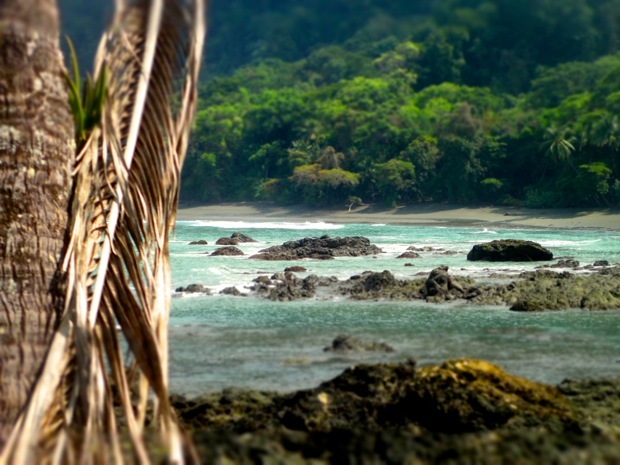 Costa Rica is one of the most natural places on the planet. 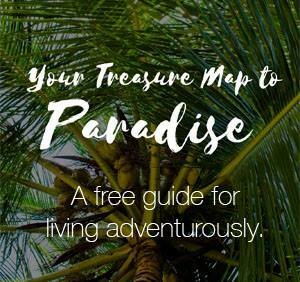 It has undeveloped beaches, primary forests, lush jungle, active volcanoes, rushing waterfalls, and the most biodiversity of anywhere else in the world. 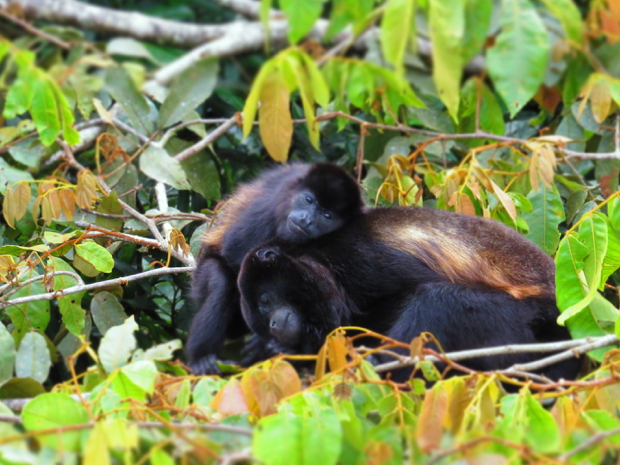 Costa Rica is full of life. Simply being in the presence of effortless life, has taught me what it means to live, in a language I could not possibly translate into words. For the sake of this article, I will do my best to try. Would you look at a bird and ask him what he accomplished that day? Would you ask a baby sloth what she wanted to be when she grew up? Would you judge an ocelot or an anteater for not contributing to society with inventions and hard work? Of course not. So why do we place these pressures on ourselves? In the beginning I was incredibly bored. Panicked even. What was I supposed to do? How would I fill my days? 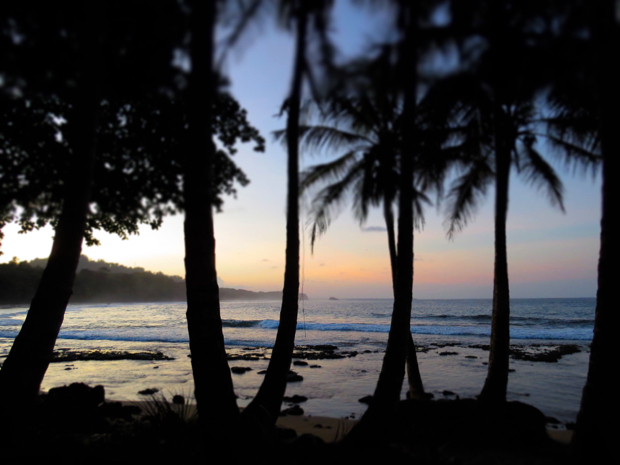 Though to my surprise the ocean and the jungle quickly seduced me into a life of doing nothing. A life of being. I spent my days taking long walks, swinging in a hammock, and swimming in the ocean. I could hardly believe how good I felt and how happy I was capable of being. 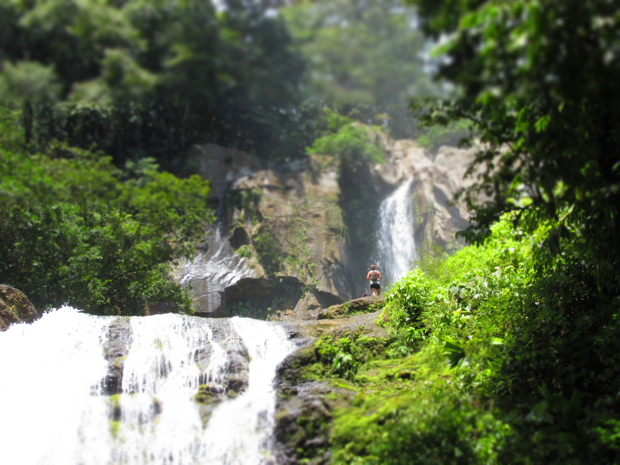 The 25 years of life preceding Costa Rica seemed like a strange dream. I felt like I woke up to the experience of actually living. 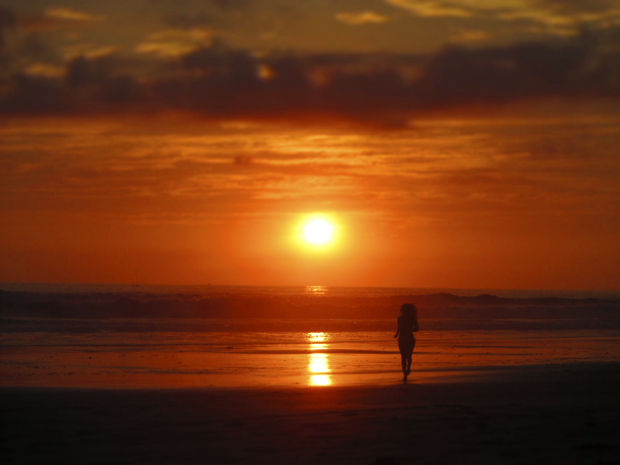 Costa Rica showed me that I didn’t need to be a designer or a project manager (or a yoga teacher or a blogger for that matter). Simply by breathing, I was already fulfilling my purpose. 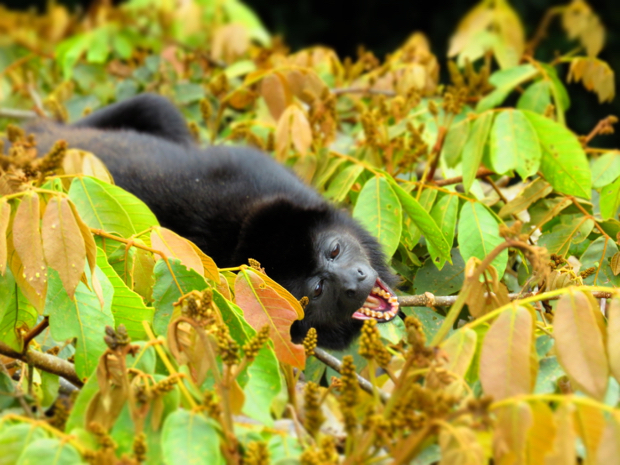 Costa Rica showed me that just like a bird or a sloth or a wildcat or an ant my purpose is simply to live. As long as I am alive, I am doing enough. When I was a kid I told my Mom that I hated the beach. The sand and the dirt between my toes felt too uncomfortable to my ultra sensitive self. As I grew up I avoided many situations because my designer clothes would get dirty or my perfectly styled hair might get wet. 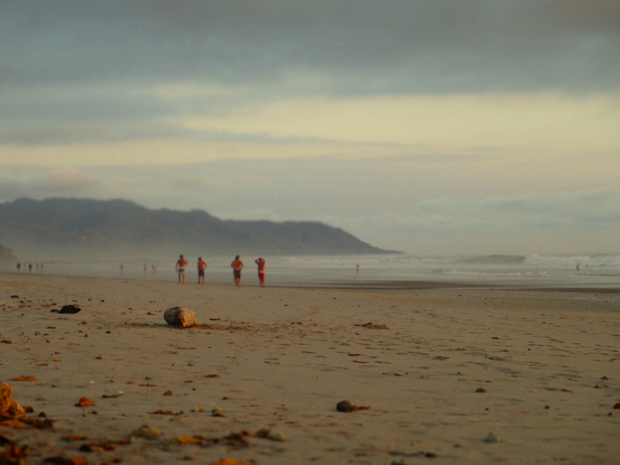 In Costa Rica there is no escaping the dirt or the sand. So I’ve learned to embrace it. Things that once felt uncomfortable now just make me feel. 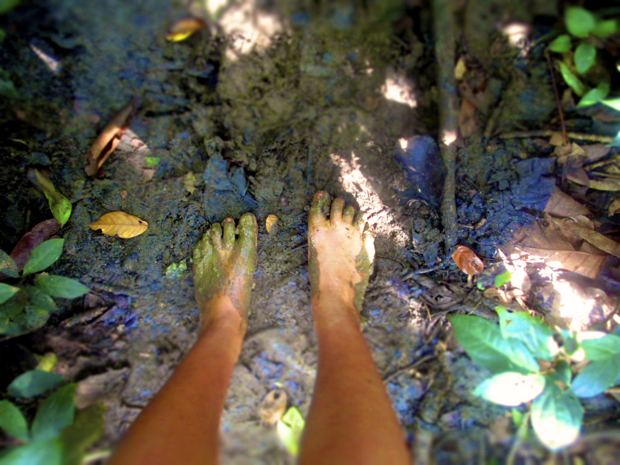 I walk barefoot in the mud, on clay, on dirt, on sand, as much as I can to feel the ground beneath me. I don’t worry about getting my clothes or my hair or my body dirty. I’d rather feel free and alive with stains and holes than restricted and limited looking polished. The sand at the beach that once felt uncomfortable now serves as a reminder for me to let go. Even when it’s cold and rainy I make sure to jump in the ocean every day to remember to release my worries and surrender to my feelings. I let myself get dirty so that I can feel alive. I smile when I recall how often I once complained that I had nothing to wear. Or that nothing sounded good for dinner. Or that there was nothing to do on a Friday night with my friends. These days I never have that problem. And it’s not because I travel all over the world with endless options of things to do. 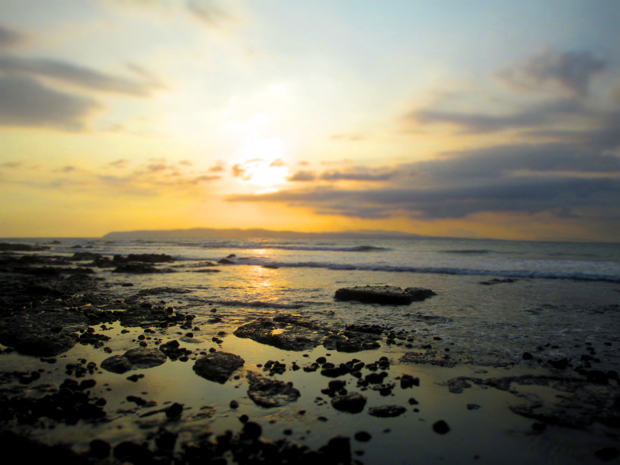 It’s because Costa Rica taught me to appreciate what I have. Consequently, all options, even when there are few, sound great. 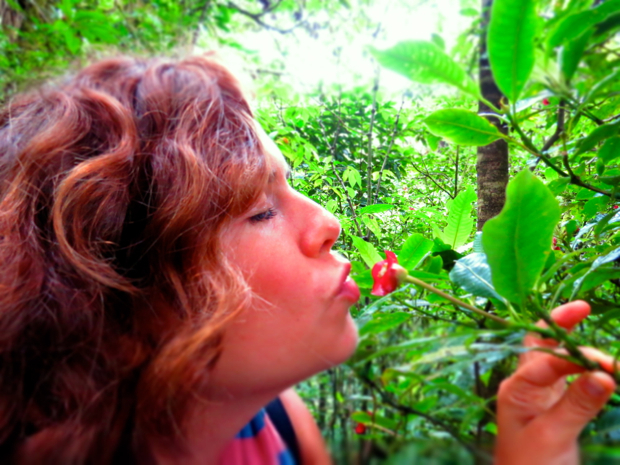 On my first trip to Costa Rica I only packed two dresses, a red one and a black one. I didn’t have “nothing to wear” when I went out. I had red or black. The grocery store had limited options and my kitchen had a two burner hot plate, one pot, one pan, a dull knife and a spatula. There wasn’t nothing to eat. There was cabbage salad, black beans, and corn tortillas. And it tasted good. There were about four bars to choose from on a Friday night. There wasn’t “nothing to do,” there was only that to do. 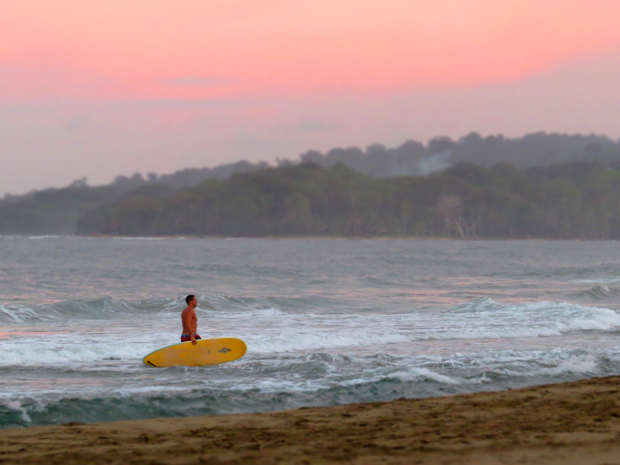 Costa Rica humbled me with its simplicity. I realized that no matter what I ate, what I wore, or what bar I went to on a Friday night, I could still be happy. The discontentment and difficulty in making decisions waned. Now, when I’m surrounded with a closet full of clothes, a fridge packed with food, and endless options for entertainment, I can appreciate all of it. Because I know that none of it is essential. 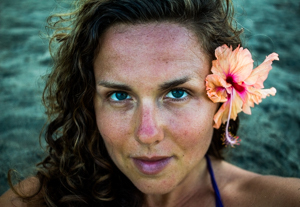 Dancing with hippies in capes high on cacao, chanting with naked women in a sweat lodge, being smacked in the face by a stranger, and falling in love with an insincere Casanova, I’ve had some pretty bizarre encounters with other humans in Costa Rica. With no status to achieve or expectations of who you’re “supposed to be,” people experience a freedom here unlike anywhere else on earth. They can express it in seemingly strange ways. This has shown me that every single one of us is totally insane. And there’s something wonderfully healing about that. None of us is perfect and none of us is the same. Why bother trying? Why bother trying to conform to being anything other than the beautiful you? People may be out of their minds, but when you really need them, they will step up to the plate. Asking for support when I need it is a very hard practice for me. My ego thinks it needs to do it all on its own. In Costa Rica I’ve found myself in situations where I’ve been so desperate I’ve surrendered myself to the support of others. Times when I’ve had awful food poisoning, been uprooted and homeless, missed my bus, or been hurt and heartbroken. What I’ve experienced is that people want to give. People want to share. People want to love. You just have to let them. I’ll never forget the time someone told me I wasn’t capable of being happy. The words stung because I believed that they were true. I felt discontent most of the time, and while I didn’t hate my life, it didn’t seem all that great either. Like many people I attributed happiness to outside circumstances. If I had a great boyfriend, then I would be happy. If I had the career of my dreams, then I would be happy. Consequently my moments of happiness were fleeting. I was happy when I had a tender moment with someone I loved, when I had a fun night out with friends, or when I cooked and ate a delicious meal. All of those are wonderful treasures, but happiness is far more expansive than that. In fact happiness can be experienced in every moment. They have a phrase for this in Costa Rica: “pura vida”. When the sun is shining, you’re having fun with friends, and you’re falling in love, you absolutely say pura vida. You scream pura vida from the mountaintops. But you also say pura vida in your moments of greatest struggle; when it’s pouring down rain, you’re fired from your job, and you’re heartbroken. When you start to see the blessing in the hard times you create an entirely new definition of happiness. 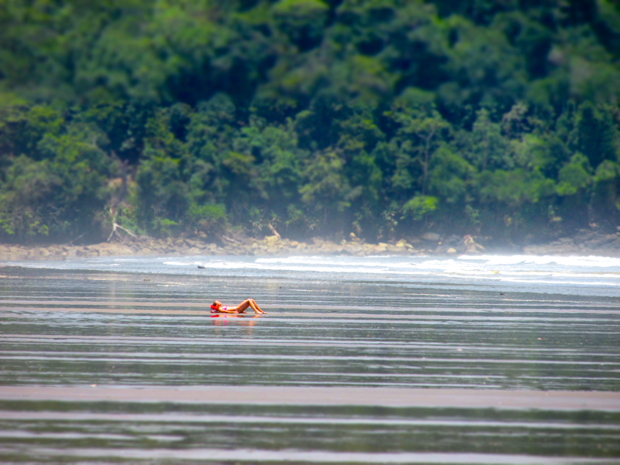 Pura vida expresses a form of happiness that is all encompassing. That happiness exists eternally. That happiness is not only attainable, that happiness is your true nature. That happiness requires simply turning within and acknowledging that happiness isn’t a choice, happiness is who you are. When we spend our time in places that are separate from nature, we can easily forget how essential it is. Yet the moment we escape to the mountains, the ocean, the forest, the jungle, we instantly feel its healing powers. In fact there’s an entire field of study called Ecopsychology that examines the profound effects nature has on human beings. There’s a reason why it feels good to breathe clean air, to look out at an undeveloped landscape, and to be in the presence of flowers. There’s a reason why we stop and stare when we see a tucan, a monkey, or even a tiny beach crab. Whether we’re aware of it or not we have a deep instinctual desire to connect with nature. 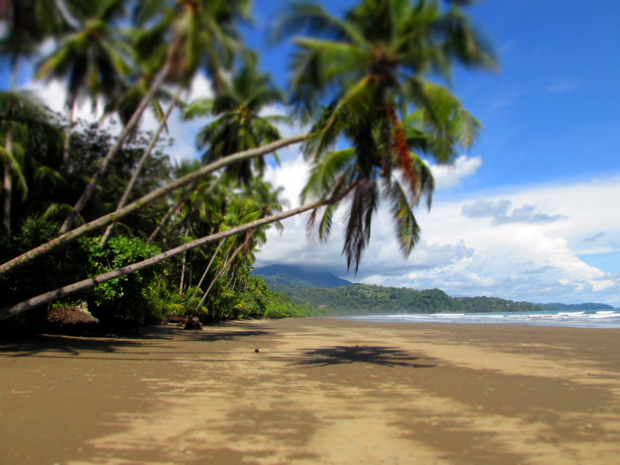 Costa Rica remains one of the most natural, untouched countries on Earth. I feel it every time I return. I slow down my pace, I quiet my mind, and I take care of myself. I’ve often thought that nature is what heals us. But perhaps nature doesn’t heal us after all. Perhaps nature just reminds us that we’re not broken to begin with. No matter how strong your will may be, the Earth always proves itself to be stronger. You may want a sunny holiday and instead the Earth decides to give you a thunderstorm. If cockroaches and rats terrify you, you’ll likely experience an infestation. When the ocean’s currents start to swallow you whole, your only hope for survival is surrender. Costa Rica reminds so many of us who have forgotten that despite how much we try to control it, the earth does not belong to us. We belong to the Earth. And no matter how hard we try to force it to do what we want, the Earth will put us in our place. That might sound scary, but it’s actually the most peaceful reality I can fathom. We can let go of trying to cultivate it. We can let go of our reign over it. We don’t have to take on that responsibility anymore. We can get back to living. There is more to life than the human experience you are currently having. There is more to matter than what you can see and touch. There is more to you than your physical body and the thoughts in your head. When I’m in Costa Rica, I see this clearly. I feel something inexplicable when I sit on a deserted beach at sunrise. 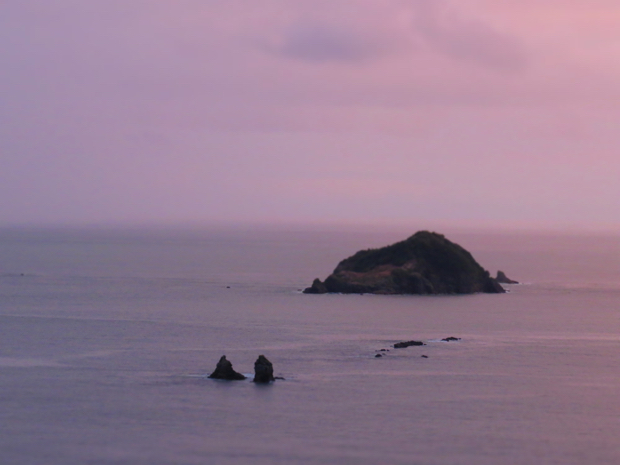 Or when I witness hundreds of birds flock to a distant island every day before sundown. I feel a spectacular wonder when I climb a jungle cliff to follow a glowing blue butterfly. I see that the world is a beautiful mystery. To me, that’s pure magic. 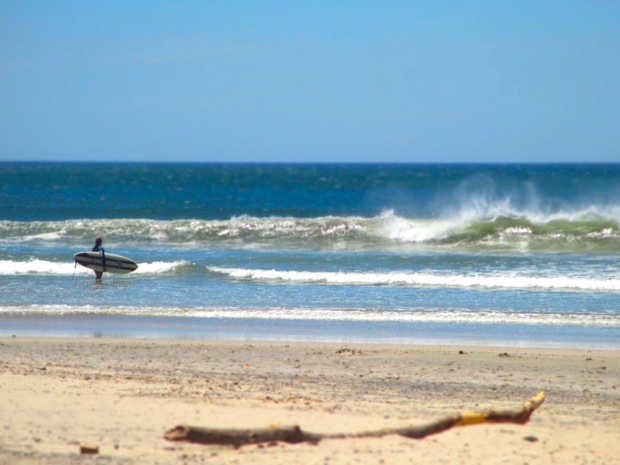 Looking to change YOUR life in Costa Rica? 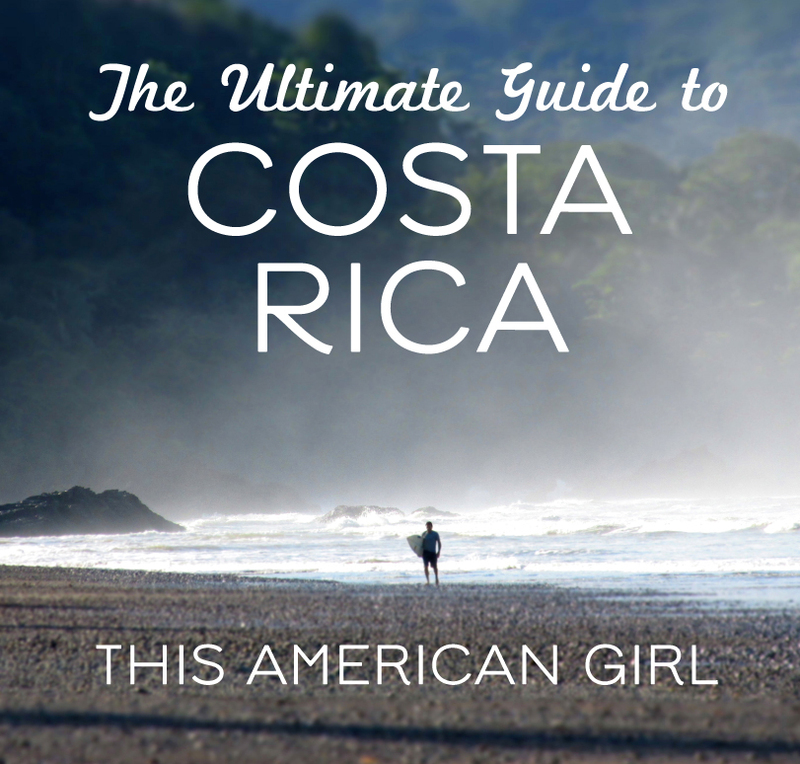 Check out my eBook, The Ultimate Guide to Costa Rica! Thank you Douglas 🙂 Get a copy of my Ultimate Guide to Costa Rica and you will probably want to move there, hehe! Lovely post! The paragraphs about happiness and nature especially resonated with me. You’re so welcome 🙂 Glad to hear you enjoyed it, and good luck searching for a house! All sounds wonderful! Hey American Girl ! This is a great visit to Costa Rica, your words inspired me to keep working harder in our country to keep this place! Simply touched my soul the way you have described the true essence of life thru costa Rica.. Every words u wrote are so unpretentious that really made me feel that how important it to surrender us to the mother nature.. Really thanx for sharing such a wondrerful experience you have earned being in the nature many miles away from your home..
Hi.. This is really brilliant. I love your blog.. it always gets me through. I would like to personally thank you a lot!! keep this up!! 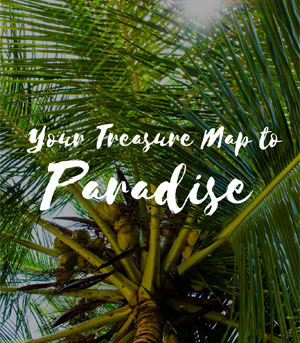 Untouched tropical paradises have this effect! I live in Costa Rica, but sadly I am not happy here. I don’t feel that I have learn much more than pain here. Thank you so much! I am touched 🙂 Keep sharing the love!